1. Scope and sustainability of Ext. P5 order passed by the first respondent and P7 order passed by the second respondent sustaining imposition and demand of ‘interest’ under section 158BFA(1) of the Income-tax Act (‘IT’ Act in short) is under challenge in this Writ Petition, stating that the said proceedings are beyond the scope of Ext. P4 order passed by the Settlement Commission under section 245D(4) of the Income-tax Act which does not provide for any ‘interest’ and further that the order passed by the Settlement Commission is conclusive and binding by virtue of section 245-I of the Act. 2. So as to analyse the application of the legal provisions to the given set of facts and circumstances, it is essential to refer to some basic facts and controversies involved. 3. The petitioner/assessee is an ‘Astrologer’ by profession, who derives income from different sources including from giving professional advice to people on various matters in the field of astrology; by virtue of the business in running a ‘Kalyanamandapam’ owned by him and also from various TV programmes. The departmental authorities conducted a search under section 132 of the Income-tax Act in the residential and business premises of the assessee on 20-10-2000. Notice was issued to the assessee under section 158BC on 8-12-2000. Since there was no response, notice under section 142(1) dated 6-6-2002 was issued calling for return of income and cash flow. Since the petitioner/assessee did not turn up, reminder was issued on 13-8-2002 proposing to complete the assessment ex parte, which also was not responded, when another letter was issued calling for the return of income, enclosing copies of valuation report of the Valuation Cell of the Department in respect of the various assets. 4. After a lapse of nearly 21 months, the petitioner/assessee filed return of income for the block period of 10 years on 19-9-2002. After considering the facts and circumstances, with reference to the available materials on record and also after hearing the petitioner/authorised representative of the petitioner, Ext.P1 assessment order was passed by the first respondent, computing the total income of the petitioner/assessee as rounded to Rs. 1,24,70,280, in respect of which the total tax payable including surcharge and interest under section 158BFA(1) was shown as Rs. 1,13,80,367 which was demanded to be satisfied as nothing was paid by the petitioner, the belated return itself being a ‘Nil Return’. 5. On better wisdom, the petitioner/assessee sought to have the matter settled by approaching the ‘Settlement Commission’ and accordingly, Ext. P2 application was filed under section 245C(1) of the Income-tax Act. After considering the application, Ext. P3 preliminary order was passed, considering it as a fit case to be taken for settlement. Thereafter, the matter was dealt with in detail and final order was passed as borne by Ext. P4, whereby the ‘Undisclosed Income’ (UDI in short) of Rs. 50,37,180 already offered from the part of the petitioner/assessee and an additional UDI of Rs. 13,02,955 offered in the course of the proceedings under different heads (thus conceding the total UDI of Rs. 63,40,135) was accepted by the Settlement Commission as true disclosure and accordingly, the total income for the concerned block period was fixed as Rs. 63,40,135. 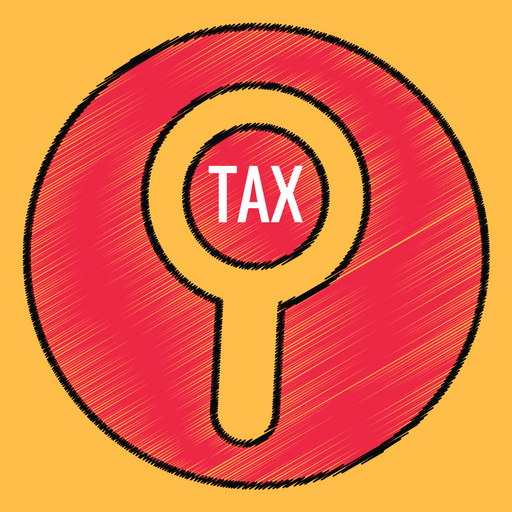 The liability in respect of the said income was ordered to be recovered by the Assessing Officer as per Chapter XVII of Income-tax Act, making it clear that if the tax was not paid within 35 days from the date of receipt of the order, it was to attract interest under section 245D(6A) of the Income-tax Act as well. The petitioner was spared from prosecution under the Income- tax Act and under IPC and also from imposition of any penalty under the Income-tax Act. 6. Pursuant to Ext. P4, the first respondent issued Ext. P5 order giving effect to Ext. P4, reckoning the income returned as ‘NIL’ and the additional income offered before the Settlement Commission as Rs. 63,40,135. The total tax payable on the conceded income at the rate of 60 per cent surcharge payable at the rate of 17 per cent and interest under section 158BFA(1) on Rs. 44,50,700 were separately worked out showing the total as Rs. 57,85,985 and after giving credit to the payment of Rs. 36,81,159, the balance sum of Rs. 21,04,826 was demanded. 7. It is seen from the materials on record that the petitioner filed an application for rectification before the first respondent under section 154 of the Act, stating that he was not liable to satisfy interest under section 158 BFA(1); which however was rejected by the said respondent and this order was subjected to challenge by filing a Revision Petition under section 264 of the Income-tax Act before the second respondent. After considering the facts and circumstances, the legal provisions and the binding judicial precedents, the second respondent passed Ext. P7 order dismissing Ext. P6 Revision Petition, aggrieved of which, the petitioner has now approached this Court, challenging Exts. P5 and P7. 8. Heard the learned Standing Counsel for the first and second respondents as well. 9. Shri V. Ramachandran, the learned Sr. Counsel who addressed arguments on behalf of the petitioner submitted that Exts. P5 and P7 orders passed by the first and second respondents are per se wrong and illegal, being beyond the scope of the order to be passed under section 245D(4), contending that Ext. P4 order passed by the Settlement Commission provided for realisation of ‘tax alone’ and on failure to remit the said amount within the specified time, his liability to pay interest under section 245D(6A) was to be attracted, while no reference was made to any interest payable under section 158BFA(1). Since the order passed by the Settlement Commission is final/conclusive/binding, the first and second respondents could not have added something more into it, whether the said addition was statutory or otherwise, submits the learned Sr. Counsel, adding that the further instruction given in Ext. P4 order passed by the Settlement Commission as ‘post script’ was only to realise the tax, interest and penalty, if any, “payable as per the order”. Since the order did not specify any ‘interest’, there was absolutely no rationale for having charged ‘interest’ under section 158BFA(1) and that the matter has become final and conclusive by virtue of the mandate under section 245-I of the Income-tax Act, since the said order has not been sought to be challenged from the part of the Revenue for omission/deletion/waiver in respect of ‘interest’ for late filing of the return as provided under section 158BFA(1). The learned Sr. Counsel also submitted that the ‘post script’ does not form part of Ext. P4 order passed by the Settlement Commission and as such, the second respondent went wrong in placing reliance on the same while passing Ext. P7 order. 10. Mr. Jose Joseph, the learned Standing Counsel for the respondents 1 and 2 submitted with reference to the admitted/undisputed materials on record that the liability to pay interest under section 158BFA(1) is mandatory and that there is no power, competence or jurisdiction for the Settlement Commission to waive the same under any circumstance. It was also submitted that the Settlement Commission has obviously not passed any order in Ext. P4 waiving interest under section 158BFA(1) and has only decided the ‘Undisclosed Income’, giving consequential direction to the departmental authorities to work out the tax and other amounts payable, in accordance with law and this being the position, the challenge raised against the impugned orders is not correct or sustainable. 11. It is brought to the notice of this Court that the order passed by the first respondent dismissing the application for rectification under section 154 of the Income-tax Act is not under challenge and that the same still stands. Similarly, it is also pointed out that Ext. P4 order passed by the Settlement Commission with the ‘post script’ shown therein is also not under challenge, while the dispute/challenge is only with respect to the consequential orders, i.e., Exts. P5 and P7; for which reason also, the Writ Petition is stated as not maintainable. Reliance is also placed on the decision rendered by the Constitution Bench, as CIT v. Anjum M.H. Ghaswala  252 ITR 1 1 (SC), which was followed by CIT v. Hindustan Bulk Carriers  259 ITR 449 2 (SC) and CIT v. Sant Ram Mangat Ram Jewellers  264 ITR 564 3 (SC), holding that there is no power for the Settlement Commission to waive statutory interest. Even a plain reading of the above provision would clearly reveal that the finality to the order passed under section 245D(4) is conferred only in respect of the ‘matters stated therein’ holding that no matter covered by such order shall be reopened, unless otherwise specified. 13. On reading Ext. P4 order in the light of above statutory prescription, it is very much evident that there is absolutely no reference to the dispute, if any, with regard to the liability to pay interest under section 158BFA(1) or as to the proposal or acceptance/finding rendered by the Commission on this aspect. To ascertain the position, whether the liability to pay interest under section 158BFA(1) was disputed in any manner before the Settlement Commission, it is very much relevant to go through Ext. P2 application preferred by the petitioner in this regard under section 245C(1). Particulars of the issues to be settled, as sought for under ‘Column No. 10’ of the said application, is answered by the petitioner stating that the same is answered vide ‘Annexure-B’ attached. In Annexure B (which also forms part of the materials on record before this Court) reference is made (in para 13) to the ‘Undisclosed Income’ determined by the assessing authority for the block assessment year at Rs. 1,24,70,280; the tax demanded on the said income; the surcharge at the rate of 17 per cent and interest under section 158BFA(1) for belated filing of the block return. No grievance is raised in respect of the liability to pay interest under section 158BFA(1). It is further discernible from para 16 of Annexure-B of Ext. P2 application for Settlement, that the demand of Rs. 1,13,80,367 included surcharge payable at the rate of 17 per cent also inclusive and that the dispute was confined to the sustainability of imposition of surcharge, contending that the enabling provision in this regard under section 158BFA(1) was introduced only with effect from 1-6-2002 and hence applicable only for searches conducted after 1-6-2002, thus seeking to have the surcharge deleted. In other words, the liability to satisfy ‘interest’ under section 158BFA(1) for filing the belated return was never disputed from the part of the petitioner. This being the position, the said liability to satisfy ‘interest’ by virtue of specific statutory prescription under section 158BFA(1) cannot be contended as a matter ‘covered by Ext.P4 order’ passed by the Settlement Commission, so as to attract the ‘Ban’ under section 245-I in respect of the liability to pay ‘interest’ under the said head. The idea and understanding of the petitioner to the contrary is quite wrong and misconceived. 14. The learned Sr. Counsel further submitted that the word ‘shall’ in section 158BFA(1) is liable to be read and understood as ‘may’. The said contention does not appear to be palatable at all to this Court, obviously for the reason that the different context/circumstances and different consequences contemplated under section 158BFA are separately dealt with under sub-sections (1) and (2). With regard to the liability to pay ‘interest’ under sub-section (1) of section 158BFA, the law makers were cautious and vigilant to have used the word ‘shall’; whereas, coming to the question of ‘penalty’ to be imposed under sub-section (2) of section 158BFA, the word used is only ‘may’. This by itself shows that the legislative wisdom of the law makers has very much considered, analysed and weighed the different circumstances under the very same provision, while making it ‘obligatory’ on the part of the assessee to satisfy ‘interest’ under sub-section (1) deploying the word ‘shall’, but making it ‘discretionary’ with regard to imposition of ‘penalty’ under sub-section (2) by using the word ‘may’. This establishes that there was conscious attempt on the part of the Parliament in the selection of words ‘shall’/‘may’ in the appropriate context and as such, this Court is not in a position to read the word ‘shall’ as ‘may’, as contended by the learned Sr. Counsel. Accordingly, the said contention is rejected. 15. With regard to the challenge raised during the course of arguments, against the reliance placed by the second respondent in Ext. P7 order, on the ‘post script’ of Ext. P4 order passed by the Settlement Commission, it is argued that the ‘post script’ does not form part of Ext. P4 order. It is very much relevant to note that there was no such case for the petitioner at any time before and no such contention was raised in Ext. P6 application filed before the second respondent under section 264 of the Income-tax Act as well. Similarly, no such contention or challenge is raised in this Writ Petition as well. On the other hand, the post script given in Ext. P4 order is rather sought to be relied on, as evident from the top most paragraph, page 3 of the Writ Petition (not numbered). The only contention was that the liability to pay interest, tax, penalty etc. mentioned in the ‘post script’ was only to be “as per order”; i.e., since Ext. P4 order did not specify ‘interest’ under section 158BFA, it was not liable to be enforced. To say the least, the contention now raised against the ‘post script’ made during the course of the arguments, without any pleading, is without any legal footing. 16. The above contention is also not sustainable for another reason as well. The case that has been moulded in Ext. P6 petition filed before the second respondent and also in this Writ Petition is that, the direction/permission to realise ‘interest’ as given in the ‘post script’ is subject to the terms as specified in the order and since Ext. P4 order specified payment of tax alone within the specified time (lest it should attract interest under section 245D(6A)), no such liability to satisfy ‘interest’ under section 158BFA is there. As referred to hereinbefore (with reference to paragraph ‘16’ of Annexure B attached to Ext. P2 application for settlement filed before the Settlement Commission) the issue raised for settlement before the Settlement Commission did not pertain to the liability to pay ‘interest’ under section 158BFA(1) and it was confined rather to the ‘quantum of income’ and also sustainability of ‘surcharge’. Ext. P4 order has not stated anything regarding ‘surcharge’ and pursuant to Ext. P4 order, the first respondent has issued Ext. P5 order fixing tax, surcharge and interest under section 158BFA(1), which stands confirmed as per Ext. P7 order passed by the second respondent as well. The petitioner has not rebutted the liability to satisfy ‘surcharge’ anywhere in the Writ Petition and no such argument has been addressed by the learned Sr. Counsel before this Court, inspite of the fact that Ext. P4 order, according to the petitioner, only speaks about the liability to pay tax and nothing more. The petitioner has conceded in the Writ Petition that the total ‘tax plus surcharge’ (on the settlement income reckoned as Rs. 63,40,135) is Rs. 44,50,775, out of which, the petitioner has paid a sum of Rs. 36,81,159 and that the petitioner has made arrangements for payment of the balance under this head. 17. Applying the very same logic and reasoning, the only question decided by the Settlement Commission was the income reckonable and nothing else. This is further evident from the various issues considered and discussed by the Settlement Commission in Ext. P4 order itself. The first issue is regarding valuation of ‘Manacaud Residence’ (para 3). The second issue is regarding valuation of ‘Kalyanamandapam’ building (para 4). The third issue is in relation to the claim of liabilities (para 5) and the fourth issue is in respect of car and furniture (para 6). Nothing further was discussed or dealt with in respect of the liability to pay ‘interest’ under section 158BFA(1). More so when, even according to the petitioner, it was never an issue sought to be considered and settled, as sought for vide Annexure-B to Ext. P2 application. In the above circumstances, there is absolutely no merit or bona fides in the Writ Petition. Accordingly interference is declined and the Writ Petition is dismissed. This entry was posted in Sec. 158BFA, Sec. 245-I, Sec. 245D and tagged 335 ITR, Kerala High Court, Penalty u/s 158BFA.